Nexi Industries has joined forces with Skunk Anansie’s Ace on a special project: two analogue stompboxes voiced for British rock tones. 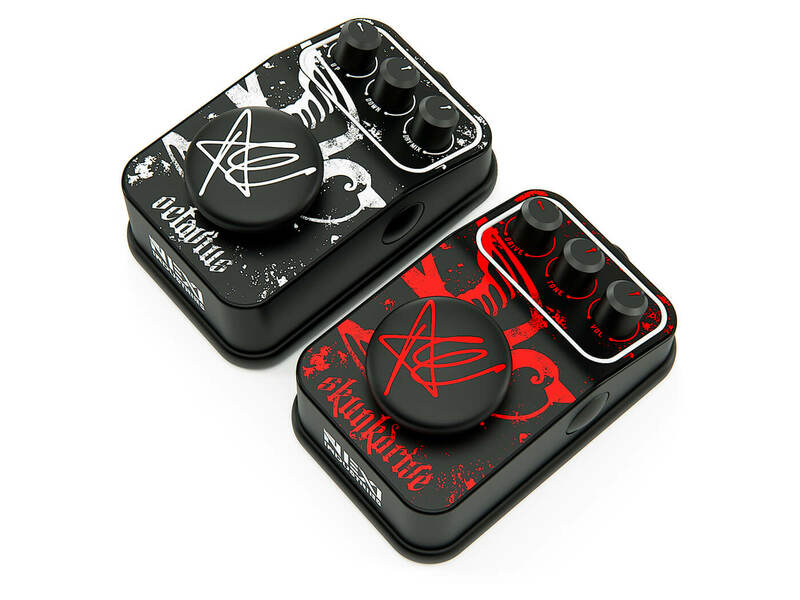 The collaboration yielded a dirt box – aptly named the Skunkdrive – and an octave pedal, the Octavius. Both pedals come with appointments tuned to Ace’s liking. The Skunkdrive is a high-gain drive box that produces a tone reminiscent of driven amps from the 70s and 80s. The Octavius, as its name suggests, is an octave pedal that has octave (up and down) modulation effects. It also has a wet/dry mix control that allows you to set the right amount of octave effect. Elsewhere, the two pedals boast hybrid designs: they can be powered via a nine-volt battery, an external power supply or Nexi’s own pedalboard. With the latter, pedals are immediately powered once they are placed in the allocated groove. Retails at $99.95 each. More information at nexi-industries.com.